What are your favorite kind of fractals? 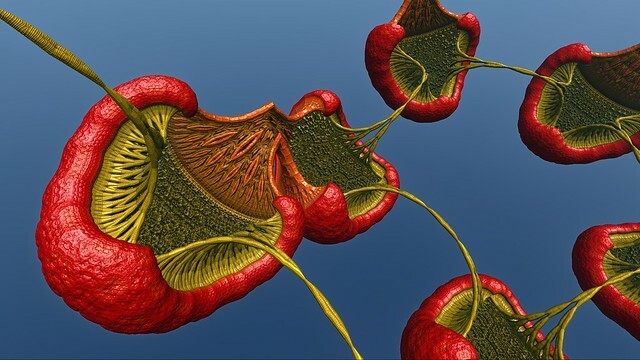 Posted by Ruth Anthony-Gardner on June 13, 2013 at 11:35pm in Fractals for the fun of it! This isn't intended as a technical question, but one of aesthetic preference. 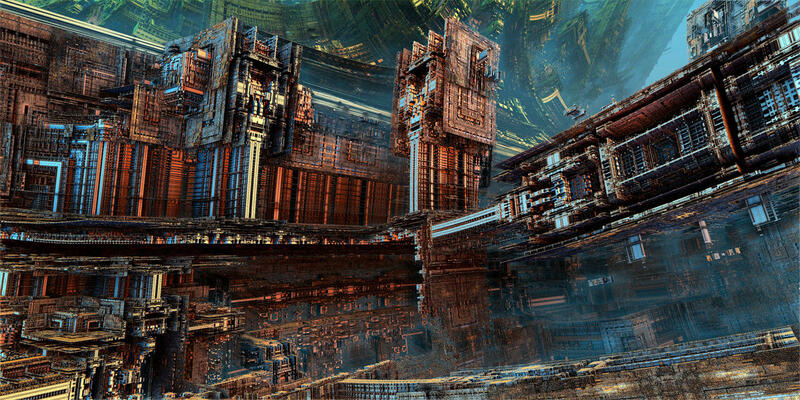 I most enjoy fractal landscapes that seem real and 3D. Zooming through the Mandelbrot set was my first riveting experience, but there are now many examples of plausible sci-fi like and psychedelic visualizations, such as an application from Fractal Lab. Fly Above The World from Fractal Lab requires a high end computer and browser, but claims to provide provide "open-source application "Fractal Lab," which gives anyone the power to explore 3-D fractal-planetoids for free." crevices where you could sit or store your picnic basket. In case you're wondering, this is also called a Menger sponge. 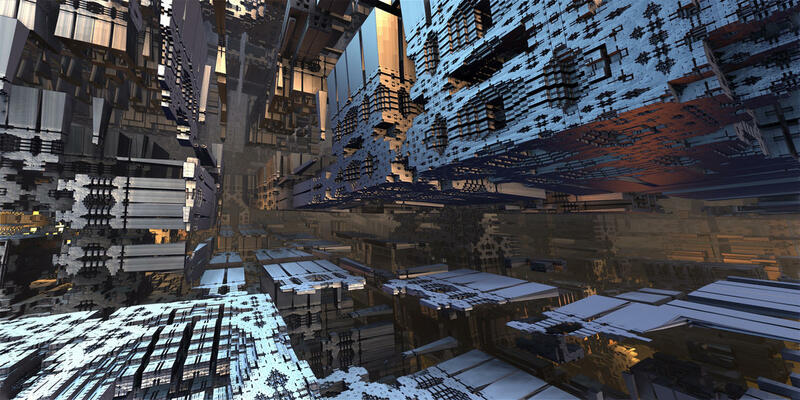 A particular fractal, called Menger's Sponge, is all about surface appearances. It's a purely theoretical shape that has infinite surface area and no volume whatsoever. And because of that, it doesn't occupy three dimensions. Or two. It manages to exist in fractional dimensions. Each of those pitted walls is called a Sierpinski Carpet. We are taught to think of things as having one, two, or three dimensions ..., but the Sierpinski Carpet is supposed to straddle the division between a one-dimensional line and a two dimensional plane. Clearly it occupies an area, but the surface is so pitted that it technically doesn't fill the area, so much as scribble a bunch of lines over it. As crazy as it sounds, the Sierpinski Carpet is supposed to have a fractional dimension of 1.89, and the Menger Sponge, which has no real volume, has a fractional dimension of 2.73. I've seen this photo in many fractal articles and didn't see anything interesting. Now that I know how it is created, it is fascinating. The repetition of a pattern throughout the structure, from very small to large holes, and repeated throughout that creates a sponge effect. "Almost everyone played with wooden building blocks at some point as a child. That activity might have seemed pointless at the time, but it will now help you understand a particular fractal. Isn't childhood development weird?" My favorites are the fractals in nature, whether a brassica or a seashell or a tree. Even in the seemingly chaos of nature, there is order. 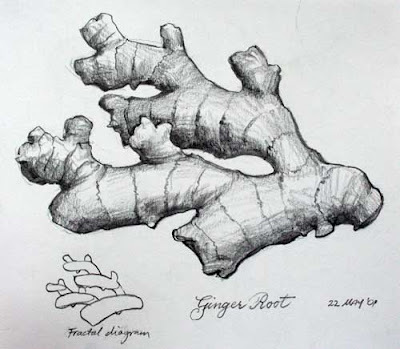 How about ginger root as a natural fractal, Joan. More that look like a sci-fi cloud city. 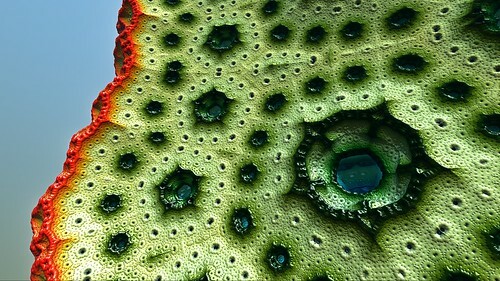 Ruth, these fractals amaze me. I wonder how they do that? Anything is possible now with this technology, so a movie could have sophisticated space flight or journey through the body with all kinds of fanciful activity taking place. 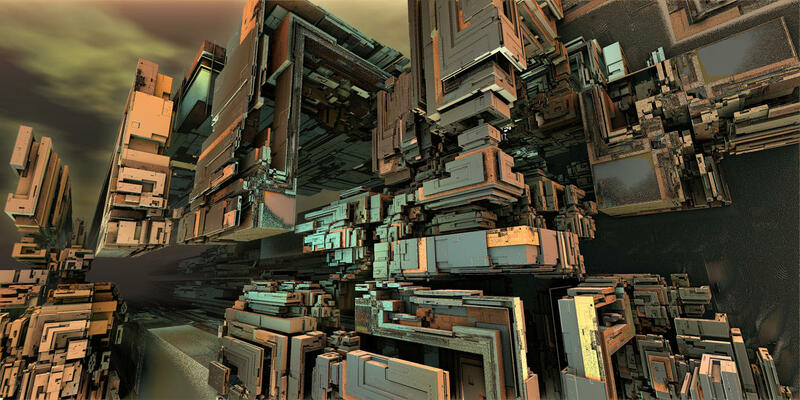 In case you missed the reference, the ones I cited as my favorites were made with Fractal Lab. I do not own the software, just found examples of work by others.